Listowel Emmets U14's have qualified for the North Kerry League Final after a comprehensive win over Ballyduff in the semi final. 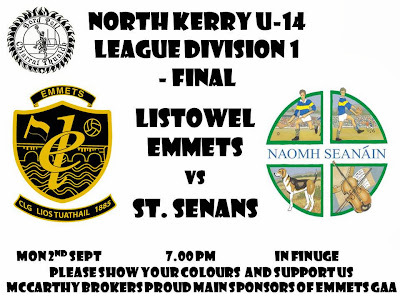 Emmets now play St. Senan's in the final which is fixed for Finuge on Monday 2nd September at 7pm. We wish all involved every success in the final.